I made both recipes from Lisa Faulkner's fab book. I chose to make Fantasy Cake and Honeycomb - both recipes were simple, straightforward and easy to follow. 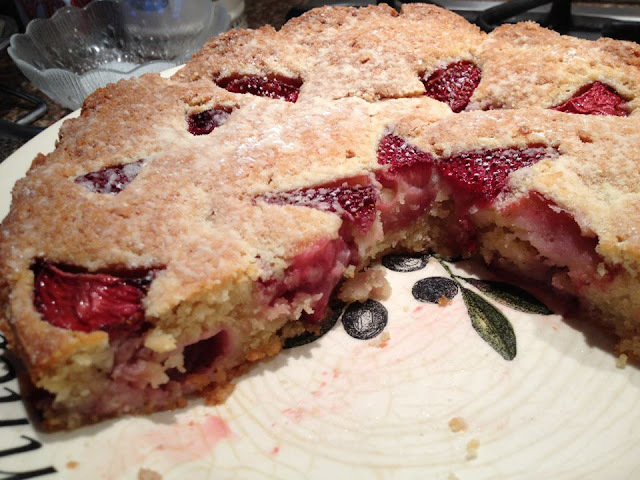 It was really super delicious...sort of puddingy in texture when it was warm from the oven, and really fruity and almondy. I loved being able to use beautiful fresh strawberries (one of my favourite fruits) and with the use of the ground almonds it was reminiscent of a Bakewell tart in flavour. This cake would be equally nice served with custard as a pudding or just sliced as a cake and served with a cuppa! Definitely worth a bake. 1. 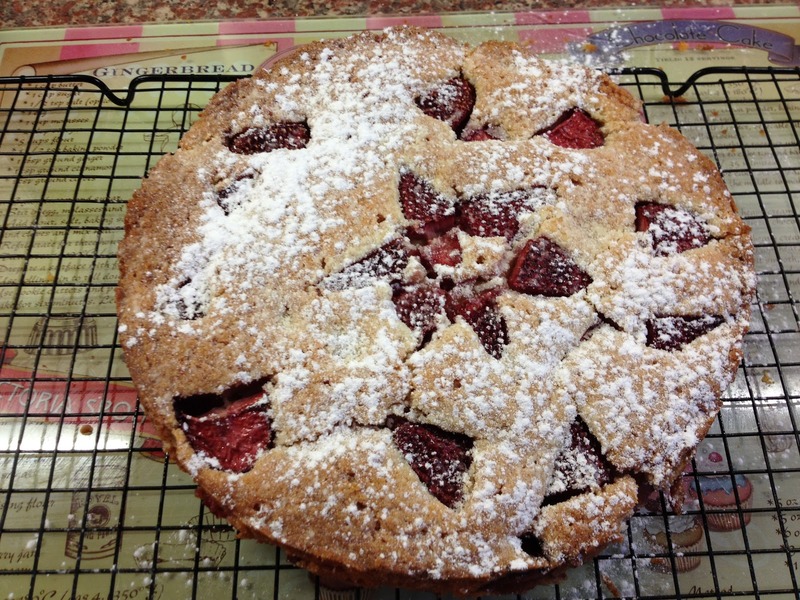 Line a 20 centimetre square cake tin with non-stick baking paper and grease or spray with oil. 2. In a large saucepan, gently heat the golden syrup and caster sugar together until the sugar has melted. 3. Increase the heat and simmer for a further four to five minutes until the mixture has thickened and is a darker caramel colour. 4. Take the pan off the heat and quickly whisk in the bicarbonate of soda - the mixture will froth up quite a lot. 5. Pour into the prepared tin and leave to set. This should take a minimum of 30 minutes. 6. Break into pieces and dip in melted chocolate if you wish. 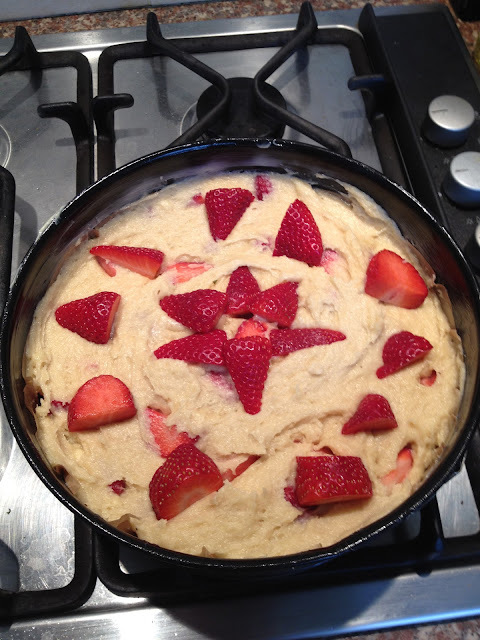 I was so excited to make this, as I'd been meaning to try this science-tastic recipe for yonks! There is something so scary/fun about adding the bicarb and watching the crazy reaction happen. The honeycomb as it was cooling/setting. Here's another shot after I'd broken it up and dipped half in chocolate (I used Green and Blacks milk chocolate, naturally!)... 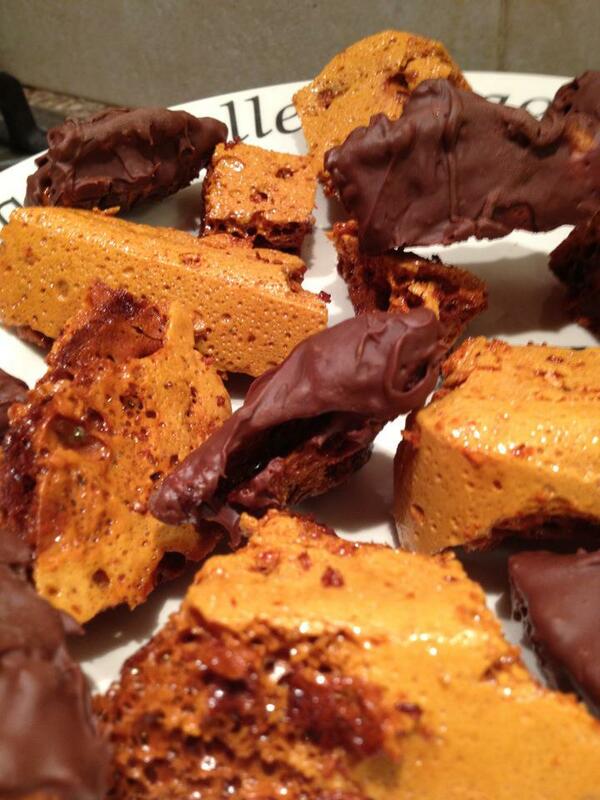 trust me when I tell you that there's nothing quite like a homemade Crunchie bar! You simply have to try these! All in all a fun afternoon of baking. 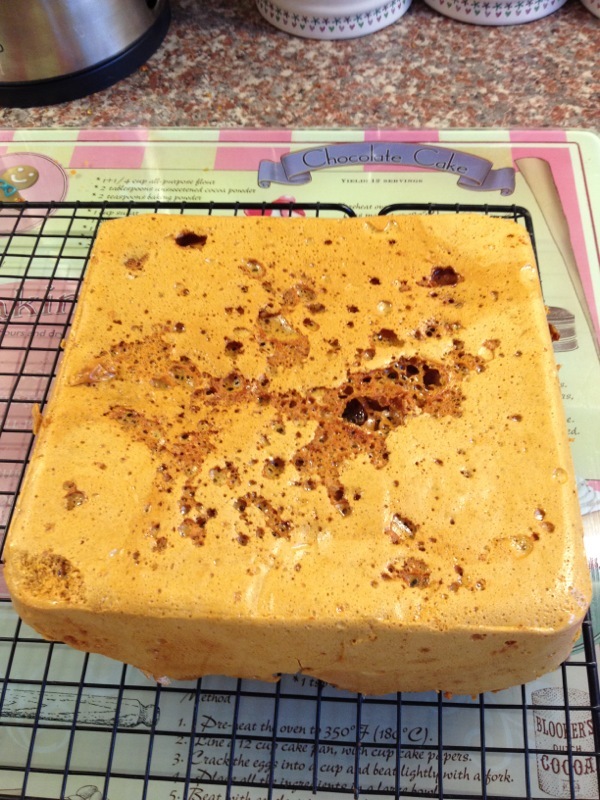 Oh my word, the honeycomb looks delicious! Haven't got a clue how you make it though? Is it mega cals..lol silly question its sugar isn't it? Its 100% sugar! :-) 150g caster sugar & 4 tablespoons of golden syrup melted together on a low heat, then whack heat up & bubble for about 3 mins, until it turns dark amber. Take off heat & add 1 tablespoon of bicarbonate of soda, whisk & it goes crazy & froths up like a volcano! Pour straight into a greased tin & leave to set. It's set & ready to break up / dip in choc after about half an hr! honeycomb crushed and sprinkled over icecream or in with eton mess or pavlova! !